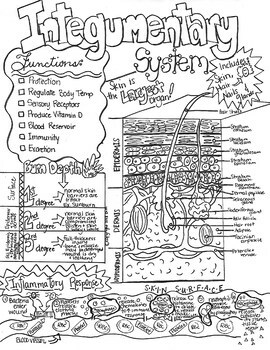 Integumentary System/Skin Sketch Doodle Notes, Student Notes, incl FIB Version! 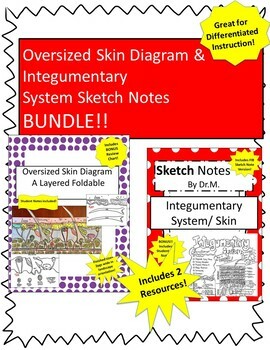 This BUNDLE includes an oversized skin diagram foldable that is useful for reinforcement/ enrichment/ remediation for the most common skin structures, student notes, a Review Chart to help color code the diagram, as well as my Skin/Integumentary System Sketch Notes! 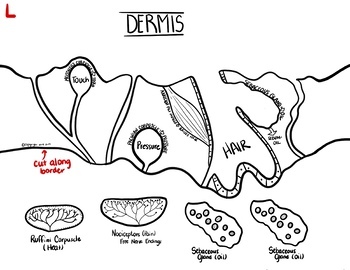 I hope this resource is valuable to your students and helpful to you as a classroom teacher. 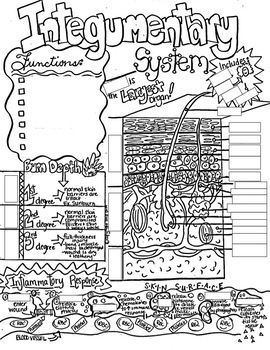 I know that it is difficult to differentiate instruction within the typical high school classroom, so I hope this resource will be helpful by making students’ assignments look almost identical, yet be adapted for their individual levels.